Comedian Charlie Murphy has lost his battle with leukaemia at the age of 57. 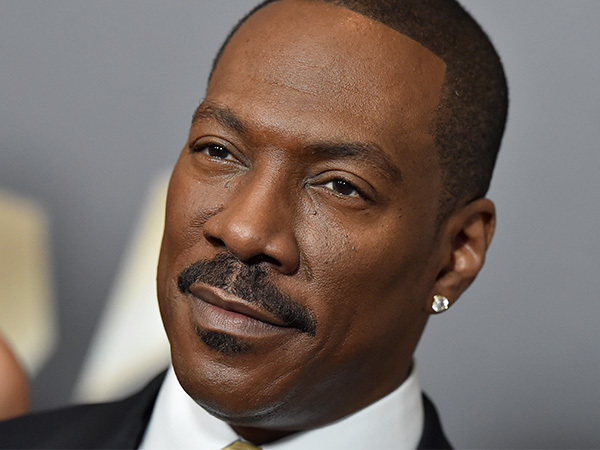 Eddie Murphy's older brother passed away in a New York City hospital during chemotherapy treatment, according to TMZ. Charlie was a regular on TV and co-wrote some of his brother's movies. He also appeared in the TV series Are We There Yet?, Black Jesus, The Boondocks, and Chappelle's Show, and he hosted his own comedy show, Charlie Murphy's Law, in 2014. Murphy's film credits included Night at the Museum, Mo' Better Blues, The Players Club, Harlem Nights, and Norbit, in which he voiced Floyd the Dog. He recently toured with fellow comedians Cedric the Entertainer, Eddie Griffin, George Lopez, and D.L. Hughley, and appeared in 50 Cent's hit TV drama Power, playing the role of Marshal Williams. Charlie leaves behind two children from his marriage to late wife Tisha Taylor Murphy, who died in 2009. Fellow comic Chris Rock was among the first stars to pay tribute to Charlie on Wednesday, tweeting: "We just lost one of the funniest most real brothers of all time. Charlie Murphy RIP." Hip hop pioneer Russell Simmons, the man behind the Def Jam Comedy tour, added: "Just came out of meditation and learned that one of my friends and my biggest comedy idol passed (sic). Damn I loved Charlie Murphy." There have also been tributes from the rap world, with Wu-Tang Clan star Raekwon Da Chef and Bow Wow remembering the late star. Bow Wow tweeted: "From Roll Bounce to Lottery Ticket. I had the pleasure to work with charlie twice in my movies! RIP TO A GREAT ONE!"